Email Password Remember me? Can't access your account? 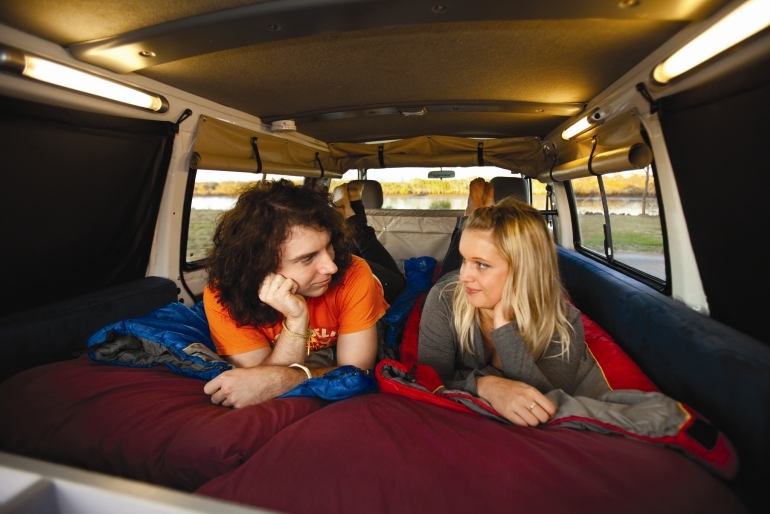 Founded by Apollo in 2006, Hippie Camper has quickly become popular with budget-conscious travellers in Australia and New Zealand. 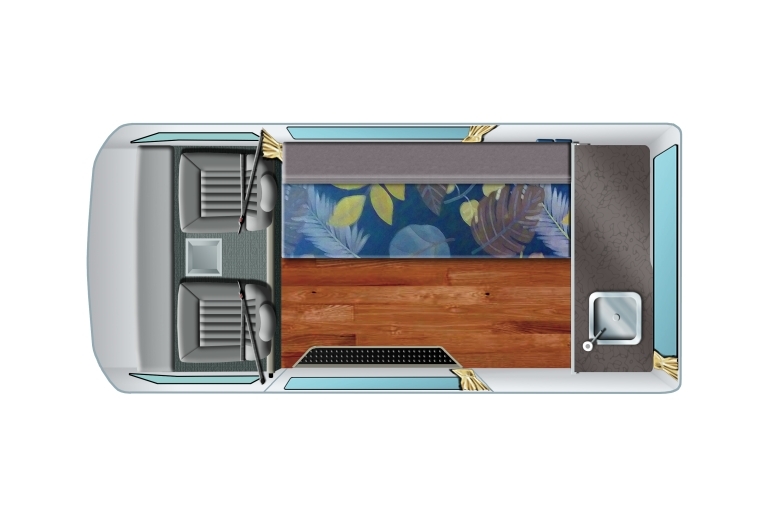 Hippie Camper has three different motorhome rentals: the 2-berth Hippie Budget and Hippie Deluxe and the 2/3-berth Hippie Hitop, built by the leading manufacturer Talvor Motorhomes. 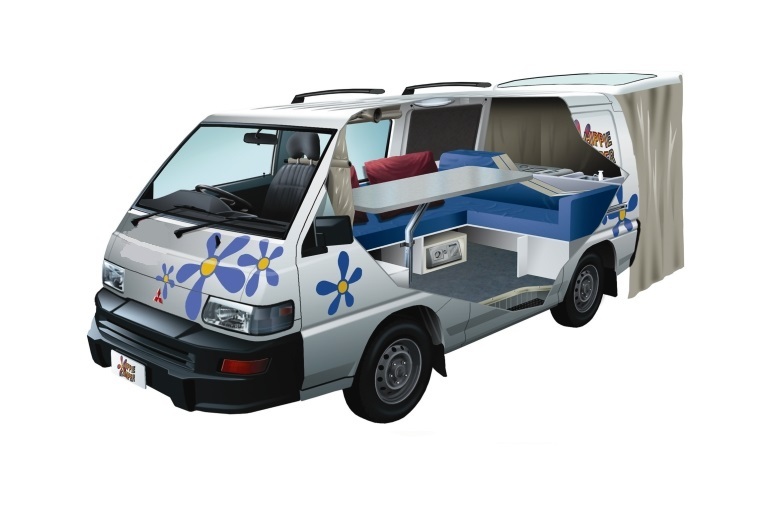 Hippie Camper makes vehicle maintenance and quality a top priority so that you know you are getting a good deal. 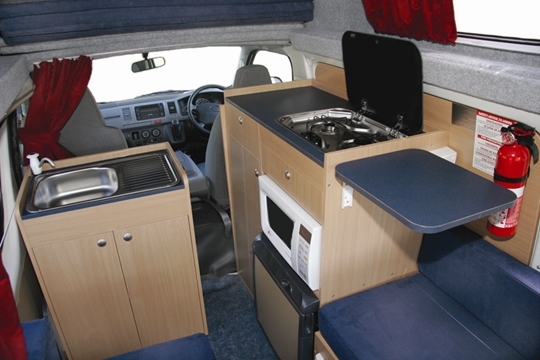 They also provide all living equipment, maps and campground guides at no extra cost. 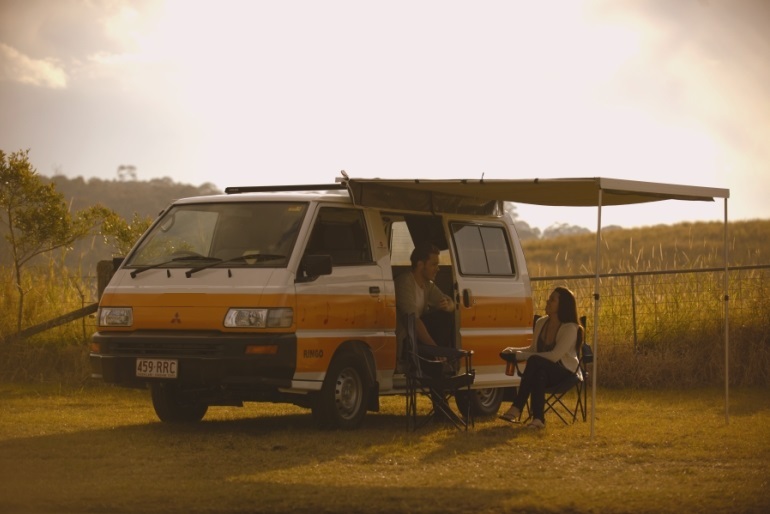 With four branches along Australia's east coast and one branch on the west coast, Hippie Camper is a great option for couples and small groups looking for affordable, fun campervan hire. 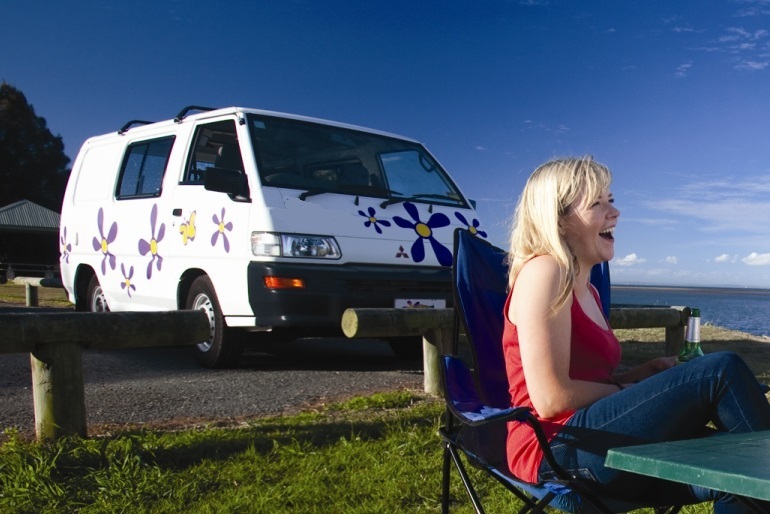 Want to see how Hippie Camper compares to other campervan rental companies in Australia? 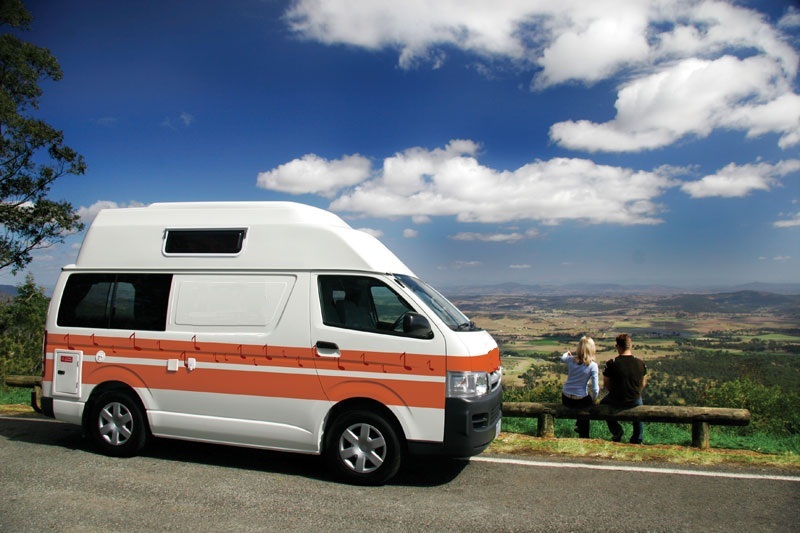 Just put your travel details into the booking form below to see what kind of bargains you can get for your motorhome holiday. 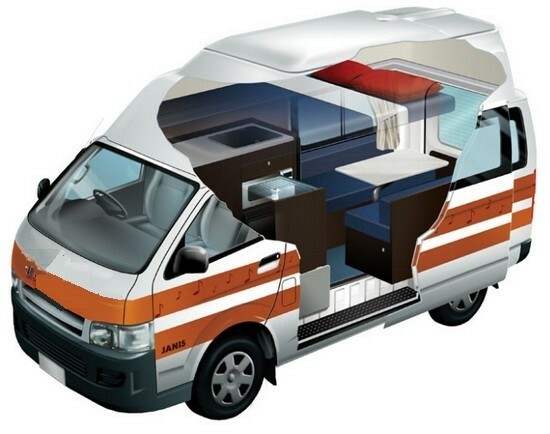 Engine: 4 cylinders Toyota Hiace Hitop. 2.4 Litre Unleaded. Ipod: Cable. DVD: No AM/FM radio, CD player. 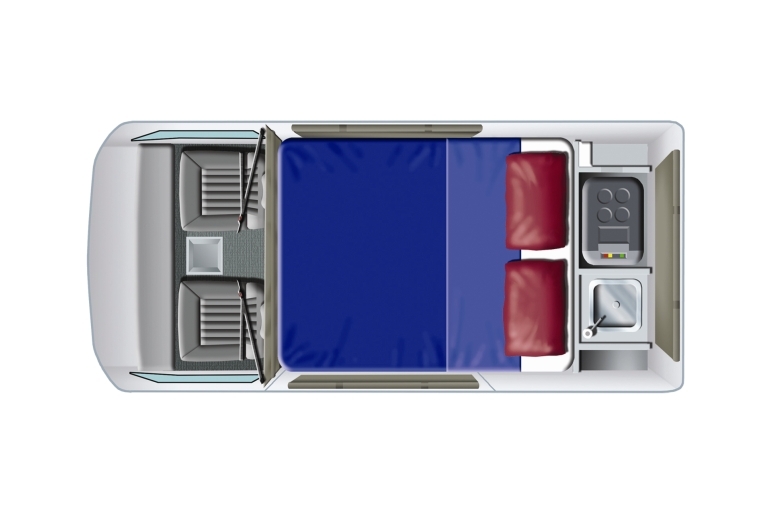 Seats: 3	Baby/Booster Seats cannot be fitted to this vehicle. Water: 55 litres Hot Water: No Water Filter: Yes Cold water only. Microwave: Yes Kitchen Equipment: Yes Sink: Sink with Handpump. Gas Burners: 2 Gas Bottles : 1 Litres : 3 (gas bottles only) 1 x 3kg Gas Bottle. 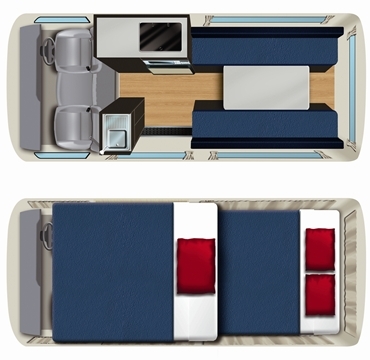 Flyscreens: Yes Privacy Screens: Yes Awning: No Fly Screens on upper cabin windows in living area. 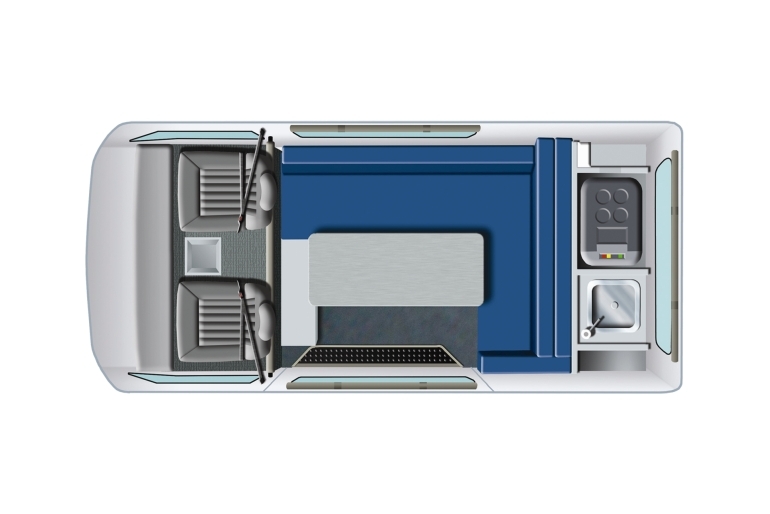 Fridge: Fridge and Freezer Litres: 57 litresRuns off dual battery 12V unless pluged into campsite 240V. 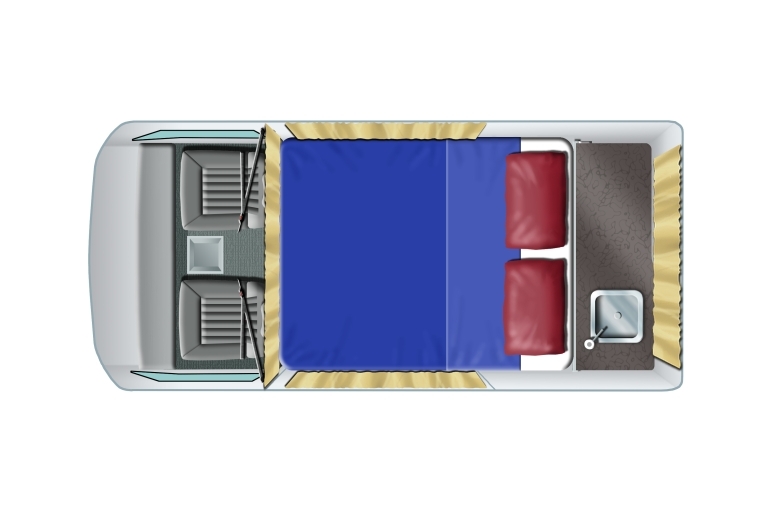 Heating: Yes Air-conditioning/heating in driver's cabin when engine turned on. 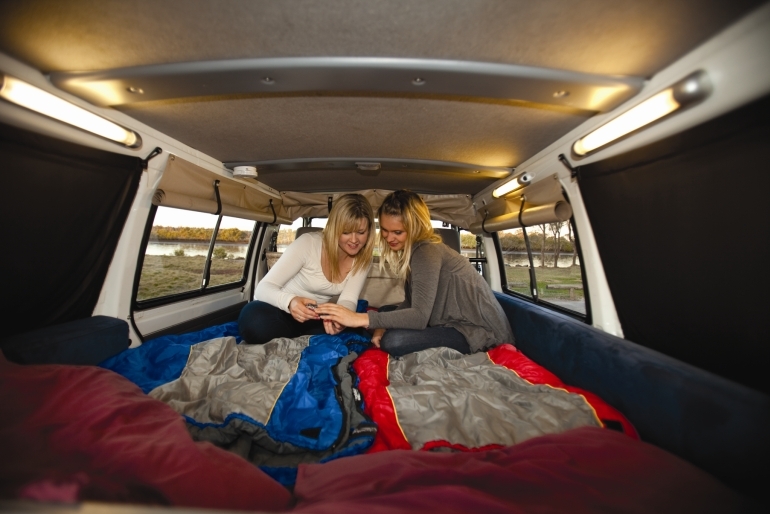 Other Inclusion: Each vehicle is supplied with a complimentary Welcome Pack for the first night. The pack contains matches, mini shampoo and conditioner, dishwashing liquid, sponge, soap, salt and pepper, coffee, tea and sugar sachets. 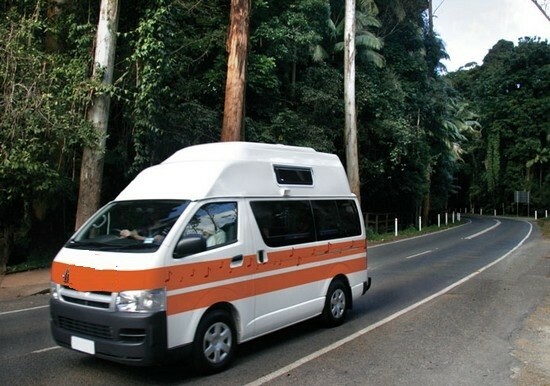 © 2019 CamperHire.com.au is a trademark of We Love Travel Pty Ltd of Shop 1, 191 William Street Darlinghurst NSW 2010. Service delivery is subject to our Payment Terms.